I created a new case layout and I would like to display the related account's related cases. I can currently show all the related account's cases but I would like to split that up into two related lists one for open cases and the other for closed cases. Is there a way to do this using the app builder? If not, what's the best way to do this? We're currently using Classic but trying to switch to Lightning so I would need this to work in both. There is an elegant solution to filter related lists declaratively. It's written up in full by Doug Ayers, but to summarize, it goes like this. 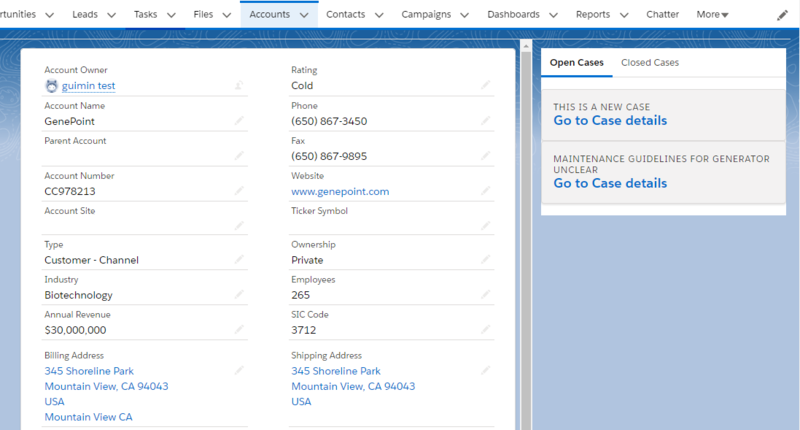 For each filtered category of Case you want to have, create a new lookup field on Case pointing to Account. Give each one an appropriate related list name, for example, Account_Closed__c, "Cases (Closed)". Build a Process on the Case object that runs whenever the record is edited. In the Process, create a criteria node for each filtered category, and set the proper criteria on the node. Add an action to each node to clear each of the filtered lookups other than its own, and copy the value of the native AccountId lookup to its own. So, for example, the criteria node for "Cases (Closed)" would have an action to clear the "Cases (Open)" lookup field, and populate the Account_Closed__c lookup with the value of the field AccountId. Then, you can edit your Lightning record page in App Builder to include one or more Single Related List components and select the appropriate filtered related lists you just created. Another solution would be to Build a Lightning component to display the related Cases. This obviously involves code and if you are not code saavy, @David Reed's Solution is Best. // other server-side action calls. // $A.enqueueAction adds the server-side action to the queue. The anchor tag currently does not generate an LEX link, and should be replaced by lighting events for navigation. I would add lightning:layout and layoutItems in the markup, alongside any additional fields you might need to display to the end user. Not the answer you're looking for? Browse other questions tagged apex visualforce lightning-aura-components visualforce-component app-builder or ask your own question. How do I get a selectList in my VF page for a custom case controller to work? Creating Closed Counter for Cases? open a flexipage from code? How to make a lightning component to have a look and feel like a single related list?